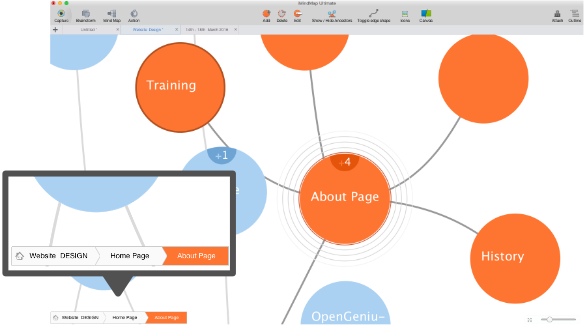 Sharing your Mind Maps with the Mind Mapping community is now only a click away. Plus, see what else is new! If you didn’t already know, Biggerplate is a Mind Map library containing thousands of Mind Map templates and useful examples. 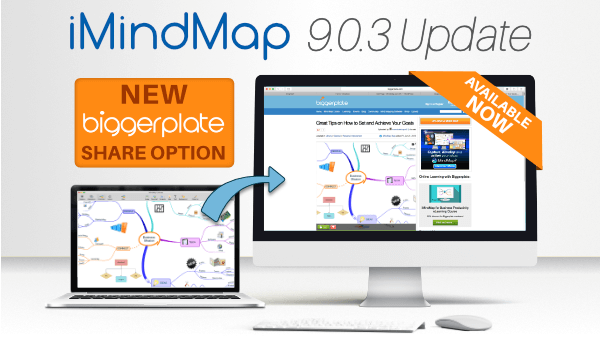 If you want to increase the visibility of your Mind Maps, inspire others with your vibrant designs, and share your expertise and ideas, Biggerplate’s 98,000 member strong community will give you that platform. Sharing quality Mind Maps will help you to establish yourself as a knowledgeable professional in your field and show off your creative prowess. 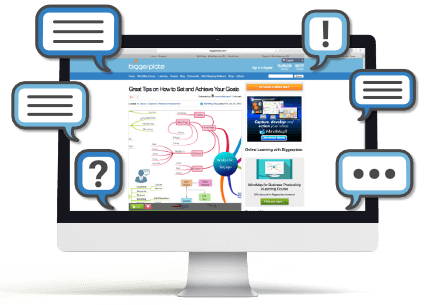 Not only that, Biggerplate members can comment on your Mind Maps, so you can spark discussions with like-minded Mind Mappers, and receive help and support from them. Appearing as numbers on your idea bubbles in Fast Capture View, the new indicators tell you at a glance how many sub-bubbles your ideas have. We have also added a handy pathway trail that displays the path back to the central idea, so you know where you are in your brainstorm. Simply click an idea in the trail to jump to it on the Fast Capture View canvas. Following your feedback, we’ve added the option to choose whether you want to align the text on your Fast Capture bubbles to the left, centre or right to give you even more control over your output. Only available in iMindMap Ultimate. 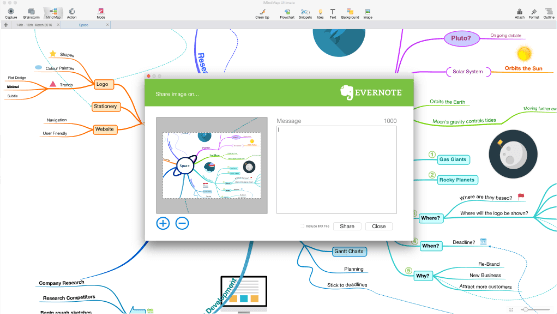 The updated Evernote Share Option allows you to upload .imx files (the format that iMindMap files are saved as) as well as images of your branches or entire Mind Maps. This means other iMindMap users can access your iMindMap files through Evernote, download and open them in iMindMap to edit on their end. 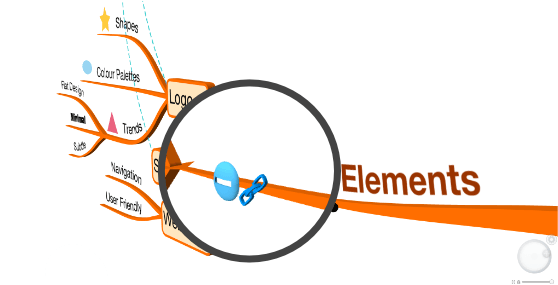 To help make your iMindMap experience as seamless as possible, you can now click links while in 3D and Presentation View and be taken straight to that website or document. Working with only one screen? 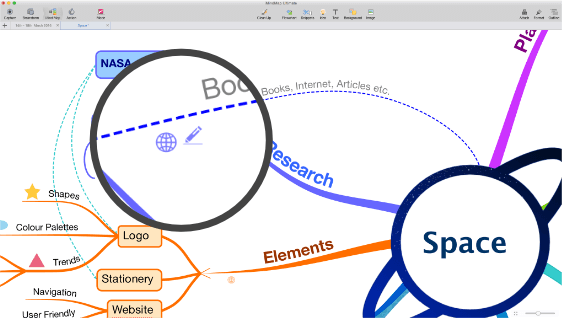 iMindMap 9.0.3 allows you to switch between Presentation View and Presenter View with ease to make presenting, or practising your presentations effortless. See your presentation as your audience sees it in Presenter View, or switch to Presentation View with a single click to see all of your notes and remind yourself what’s coming up next. 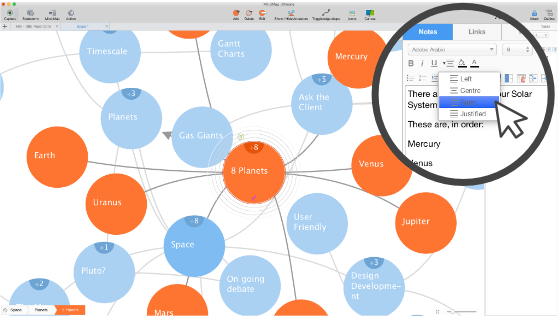 You can now add detailed notes and links to the relationship arrows that connect your branches in the Mind Map View for a fuller and more in-depth analysis of your connections. Links and notes appear as icons until clicked on, so your map remains uncluttered. 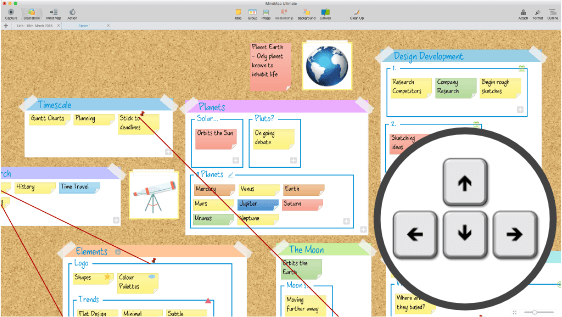 Skip quickly between your ideas in Brainstorm View using the arrow keys for simple navigation. We would like to say a massive thank you to all of you that help us to improve iMindMap, we really appreciate your feedback. If there are any features that you would like to see in iMindMap, let us know in the comments section below!